2018 Crowdfund Financial Transparency – 11th Principle: Consent! 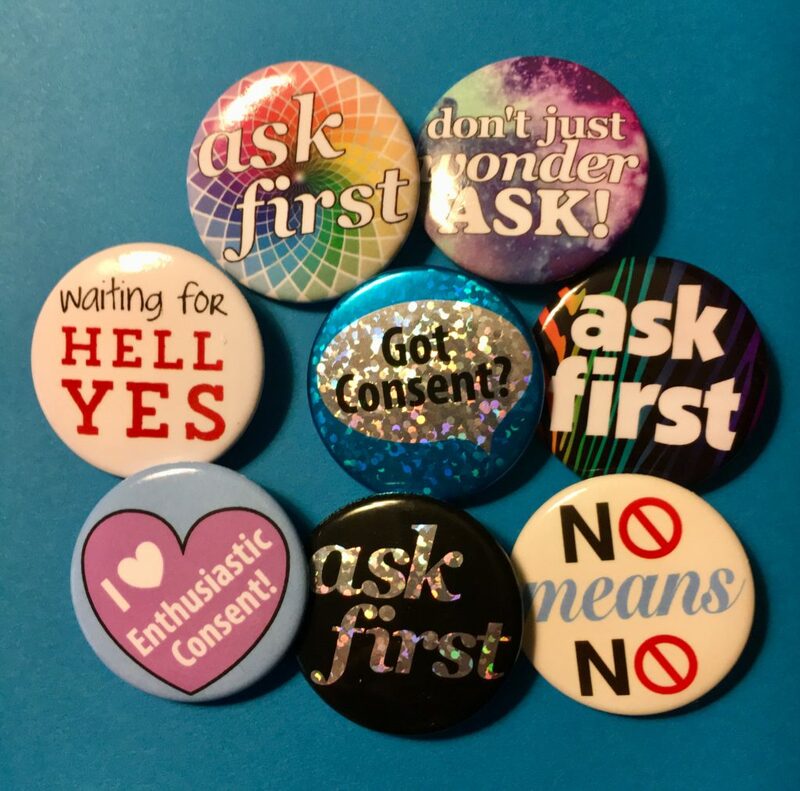 Our third crowdfund was such a success that it ended up running all year and prompted us to create a non-profit organization called Enthusiastic Consent! In 2018 we leveled up and started offering bulk swag to activists, theme camps, regional burning man events, and others who wanted materials for their workshops or communities. We are proud to announce that we filled 15 bulk orders in 2018!! During 2018, we raised $4133.51 from 134 total donors. (To compare, 2017 = $819.22 raised from 35 donors & 2016 = $882.47 raised from 47 total donors.) In total, we spent $4129 on swag production, shipping, and fees. The Crowdfunded swag was mailed or given to donors directly, was gifted to pARTicipants at Transformus and Ignite! at the 11th Principle Consent Team’s interactive Consent Tent, distributed to theme camp liaisons, gifted to the super volunteers, and distributed at other allied events throughout the year. 11thP swag was also featured at Burning Flipside, numerous Burning Man theme camps including Camp Justice League and Lunar H3, Party Liberation Front events, PlayThink, Hulaween, Frolicon, DragonCon, PUSH, and others. We have remaining supply and are planning to keep a stock year-round to meet the often last minute needs of event organizers and theme camps.